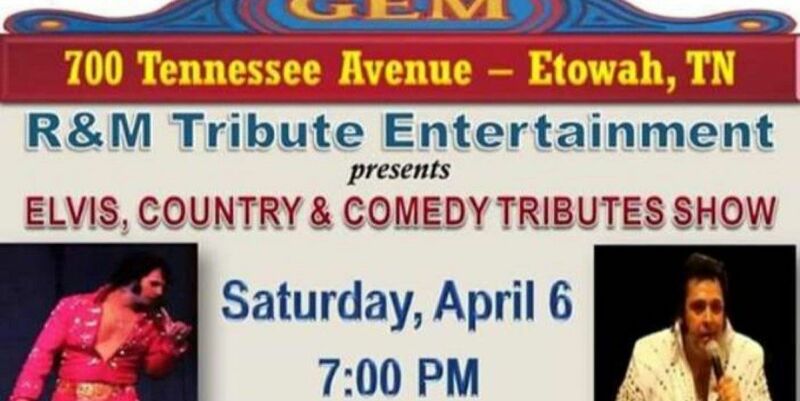 Join us for an evening of outstanding entertainment and talent featuring tributes to Elvis Presley, Johnny Cash, Loretta Lynn, Patsy Cline & Jeff Foxworthy on Saturday, April 6 at the GEM Theater located at 700 Tennessee Avenue, Etowah, TN. Show time is at 7:00 PM (EST). Our show will bring back traditional country music such as Johnny Cash, June Carter Cash, Loretta Lynn, Patsy Cline and the King of Rock N’ Roll – Elvis Presley. We will also have a tribute to Jeff Foxworthy (His Foxworthy tribute has been voted #1 in the country). Ronnie Miller is from Maryville, TN. He is a multi-award winning, professional Elvis Tribute Artist, entertainer, singer, and performer. Ronnie has won several local and national singing awards. He was inducted and a member of the National Elvis Organizations. 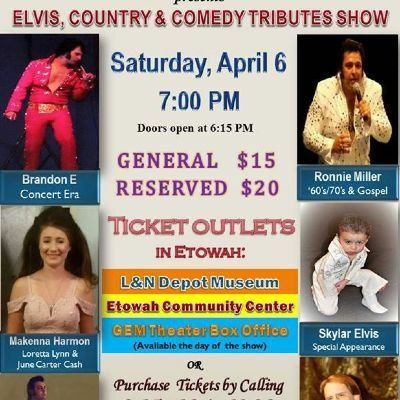 He is also a Johnny Cash Tribute Artist as well as performs a wide variety of country & gospel music. Brandon E is from Athens, TN. Brandon grew up surrounded by all of the music Elvis loved so much; blues, country, rock and gospel. Brandon developed a love for Elvis and his music at an early age. 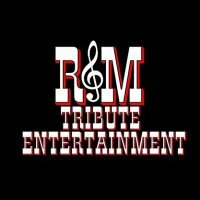 He has performed Elvis tributes in many venues all over the Southeast. Brandon has won many awards and accolades in his many years as an Elvis Tribute Artist. He most recently (2017) placed in the Smoky Mountain Elvis contest held in Pigeon Forge, TN. Brandon will be performing the ‘70’s stage concert era. Jamie Simpson is from Townsend, TN. He is known as the number 1 Jeff Foxworthy impersonator in the world. He has met and performed with the real Jeff Foxworthy and currently travels the country doing a tribute to him. He has performed at theaters in and around Pigeon Forge for decades. Makenna Harmon is from Seymour, TN. She has a passion for traditional country music. She performs tributes to Loretta Lynn, June Carter Cash, Patsy Cline and a wide variety of country and gospel music. She most recently won 2019 Female Vocalist of the Year for New Country & 2019 Female Rising Star Entertainer for New Country in the North America Country Music Association International held in Pigeon Forge, TN. *Be sure to stop in to have dinner before the show at Becky's Diner located at 728 Tennessee Avenue - near the theater. **We recommend contacting the Red Roof Inn-Etowah if you are planning to spend the night after the show. Be sure to mention our show. For more information about our schedule or to purchase advanced tickets contact Missy Miller at (865) 684-6082 or dHJpYnV0ZSAhIGVudGVydGFpbm1lbnQgfCB5YWhvbyAhIGNvbQ==.